What are the issues with recycling plastic? The wave of banning single-use plastics is a positive step in addressing some of the issues that we face with plastics. 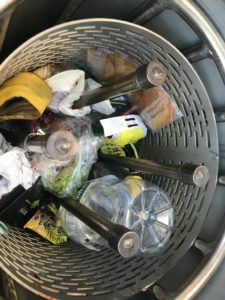 At HERU we wanted to take a deeper look at the ban of single-use plastics, what it means and what we need to do next. Single-use plastics or, more accurately, ‘disposable plastics’ are items that can only be used once before being disposed of and are often difficult to recycle. Most single-use plastics are petroleum based, and to effectively recycle it, a recycle plant would have to add new virgin materials and chemicals to it. Petroleum-based plastic is also not biodegradable. It will degrade into tiny particles after many years which make their way into our food and water supply (shockingly there are also reports of these partials being found in human bloodstreams). Records show that the amount of plastic made in the first 10 years of the 21stcentury is equal to the amount of plastic made in the whole 20thcentury but we mustn’t kid ourselves into thinking this is all bad. Plastic has many benefits when it comes to the manufacturing and food industry (in addition to the jobs that it supports). However, most people now recognise the devastating impact of this high-level use of plastic on the environment, especially single-use plastic. It is the positive benefits that it provides (durability and cheap etc) that characterise and lie at the root of its problems. We are now in a position where we have to start to source and use other materials. 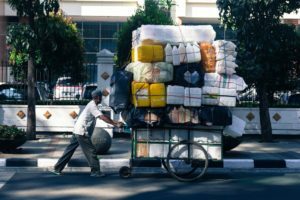 It is unrealistic to stop the production of all plastic tomorrow (from a lack of alternatives to the economic impact), and even if we did we would still have billions of tons of plastic in our ecosystem, of which only 10-13% can be recycled. Fantastic efforts are going into cleaning up beaches, sifting landfills, and collecting up these plastics – but where will it go next? A lot of it can’t be recycled and even if it could, that is a lot of resources to deal with. Until then, there’s the HERU. The HERU will take all plastic, even those items that cannot be conventionally recycled. It will use pyrolysis to break them back down to oil and gas and the following combustion, uses them as a resource to make energy for our domestic and commercial boilers. While waiting for such a time when we have solved the plastic issues, HERU is the solution to the excess of plastic in the system and the hard to recycle plastics, of which we produce on mass and on a daily basis. Previous PostDare you challenge your own beliefs?